Have you ever thought what it takes to own a Corvette in Japan? You can see that visual impact of you inside it surrounded by seas of kei cars is definitely an alluring thought. But what if we say that Japanese special 2017 Chevrolet Corvette Grand Sport Admiral Blue Heritage Edition, probably longest name in automotive history, is priced at $115k. You are probably stunned if you are familiar with the fact that Vette Grand Sport will not rob you of more than $66.5k in the US. But, then we could say that this special edition is only limited to five examples. On which you could angrily reply that almost same thing is offered in the US as an unlimited perfectly regular appearance package for the pocket money. So, is this a fraud, done by GM to Japanese people? In the land of the rising sun, you can forget about cashing out something in the area of $50k for a base Vette as you should better double it. Yes, the cheapest Corvette in Japan is by more than ten grand pricier than furious Z06 in the any of 50 homeland states. In that case, going from starting $93k to $115k for Grand Sport model with special styling touches and limited to no more than five units in your country, suddenly appears like a deal of the century. And it is not the first time for Chevy to do something like that as we had, again only, five Watkins Glen Gray and Tension Blue Collector Editions and fifteen Heritage Editions involving combined offer of Racing Yellow, Arctic White, and Black variations. This special edition uses Admiral Blue paint flavored with red fender stripes and a wide white stripe going from tail over the roof and ending in the hood vent. 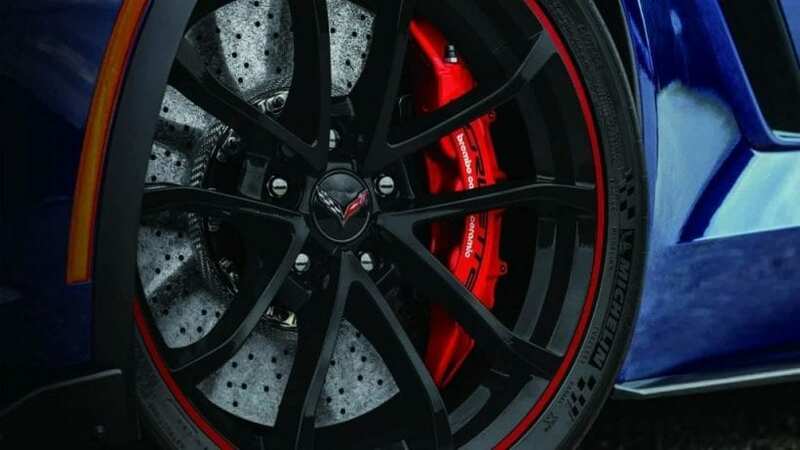 Red paint also covers brake calipers and wheel rims which are joined by thin double spoked black alloys. Carbon is used to treat aerodynamic bits all over the body, along with the substantial use of it on the inside. 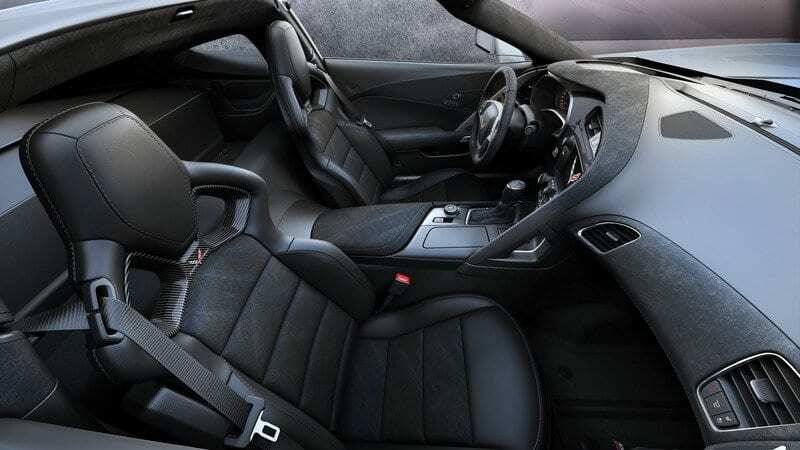 Interior is pure black, with mixed Alcantara-leather bucket seats, while Alcantara also managed to find its spot on many other places such as dash, armrest and steering wheel. In a total sum of everything, we have pretty striking appearance thing going on here, especially on the outside. This edition is purely visual related as is the package offered in the US. As every Grand Sport, this one also comes with naturally aspirated 6.2-liter V8 delivering 460 hp and 465 lb-ft of twist. That is enough for reaching 60 mph in 3.5 seconds and a top speed of 200 mph. 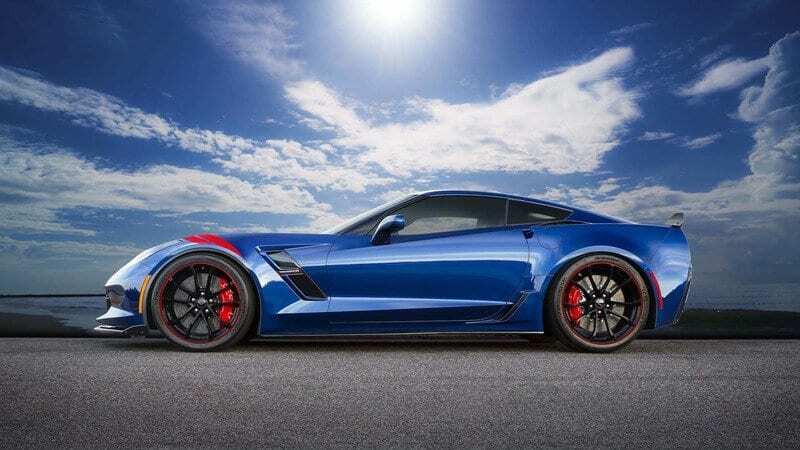 Corvette Grand Sport is arguably best sports car in the world, carrying many Z06 pieces while keeping power at more manageable levels, resulting in endless grip and astonishing lap times, so if nothing is changed with this edition, we surely wouldn’t mind. 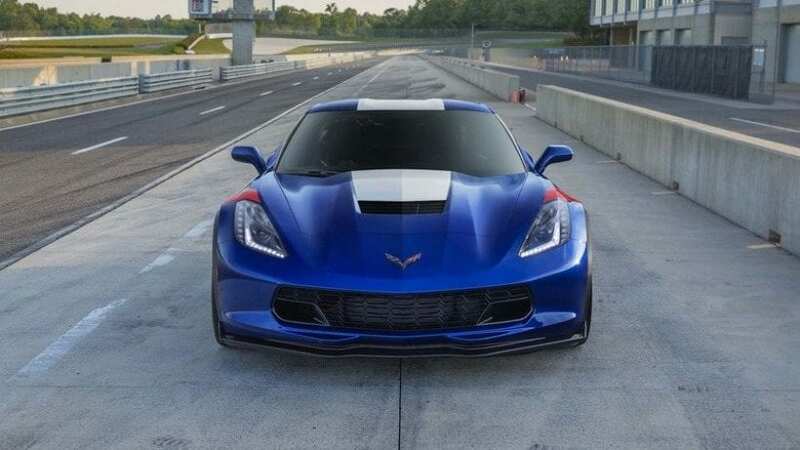 Despite you can lose two minutes of your precious life while pronouncing its name, 2017 Chevrolet Corvette Grand Sport Admiral Blue Heritage Edition is one sweet thing if you live in Japan. Getting one will make you insanely special and you are probably not going to ever bump into one of other four while cruising down the narrow Japanese roads. It is unlikely also that you’ll ever cross a Pacific ocean with it,leaving you ignorant about what populates roads in the America.